A quick view of the most influential metrics in Copperleaf. 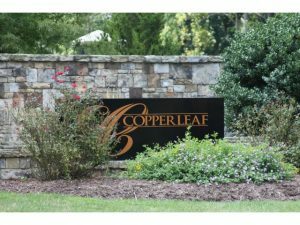 Copperleaf is a gorgeous luxury Cary subdivision comprised of two sections: The Manors and The Estates. The Manor homes range in price from the upper $600s to the $900s. 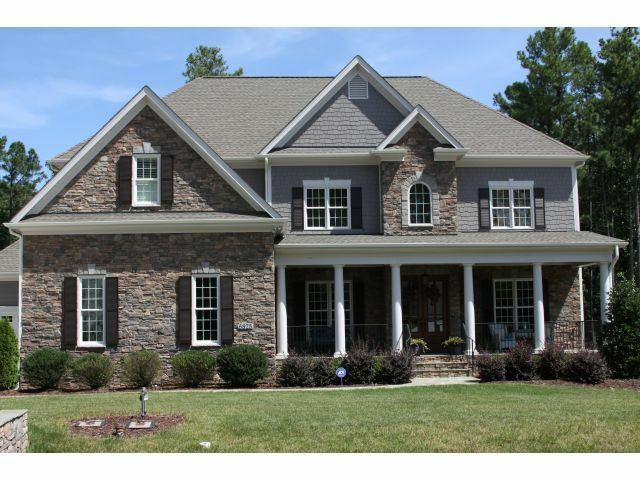 The Estate homes range in price from the $800s to over $1 million. The first custom-built homes were constructed in 2008. The subdivision is designed around well-developed trees and green space, giving a feeling of privacy and nature. The yards are beautiful with stunning curb appeal. Amenities include a huge 5,000-square-foot pool with slide and splash areas for the kids, a pavilion with showering facilities and a wide veranda, a playground, walking trails, and a connection to the American Tobacco Trail and Cary’s Greenway system.Copperleaf subdivision is just minutes from Research Triangle Park. RDU International Airport, restaurants, and shopping are all within easy access. [google_area_map id=”4″]Playgrounds and greenways are tucked within the community, with miles of walking and biking available on the American Tobacco Trail. Copperleaf is adding new executive high-performance green estate homes by Homes by Dickerson. The wooded homesites range from ½- to ¾-acre and will be in a new neighborhood section called Copperleaf Reserve. View our selection of available properties in the Copperleaf area. Check out the latest demographic information available for Copperleaf. Browse through the top rated businesses in the most popular categories Copperleaf has to offer.